I based this recipe on one by Chef Stephen Gibbs of San Francisco. 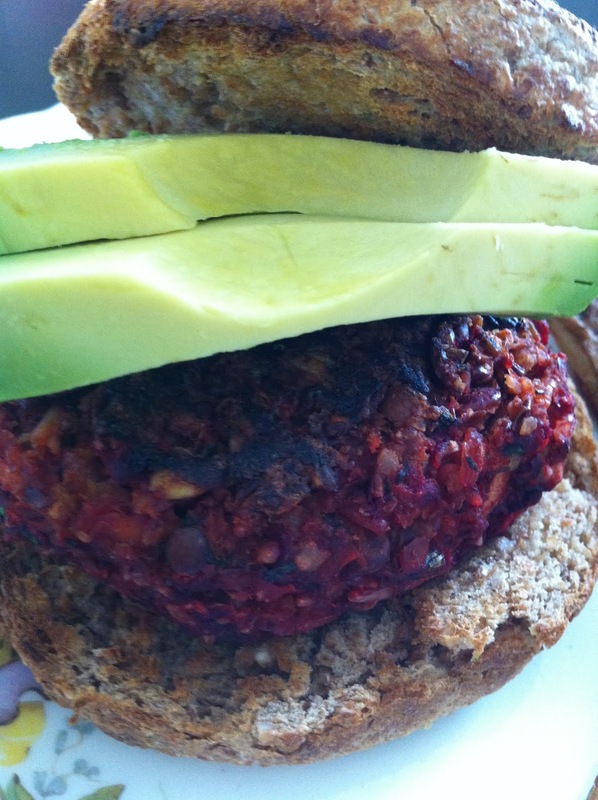 It is a strong veggie burger because it has a nice variety of vegetables in it! What is the only thing that goes with a burger? FRIES! These are my oven baked fries. Seriously, who needs to go out? Cook brown rice and brown lentils. When they are ready, you can start making the burgers. Cut the potatoes in wedges, coat in olive oil and seasoning. Place on a baking sheet with tin foil and bake for about 35 minutes until really crispy. Whisk the flax powder and water and let stand. Using a box grater, grate the zucchini, carrots, and beets. Place them in a bowl with the lentils and rice. Add the spinach, chopped walnuts, pumpkin seeds, chives, tamari, salt and garlic powder. Mix together and then fold in the flax mixture. Process the mixture in the food processor until it comes together. Make 4 patties. Place on a baking sheet lined with parchment paper. Bake for 10 minutes. Flip them over and bake for another 10 minutes. Toast the English muffins. Spread them with Earth Balance and place the patty in the bun. Top with avocado slices and serve with the oven fries. Enjoy! 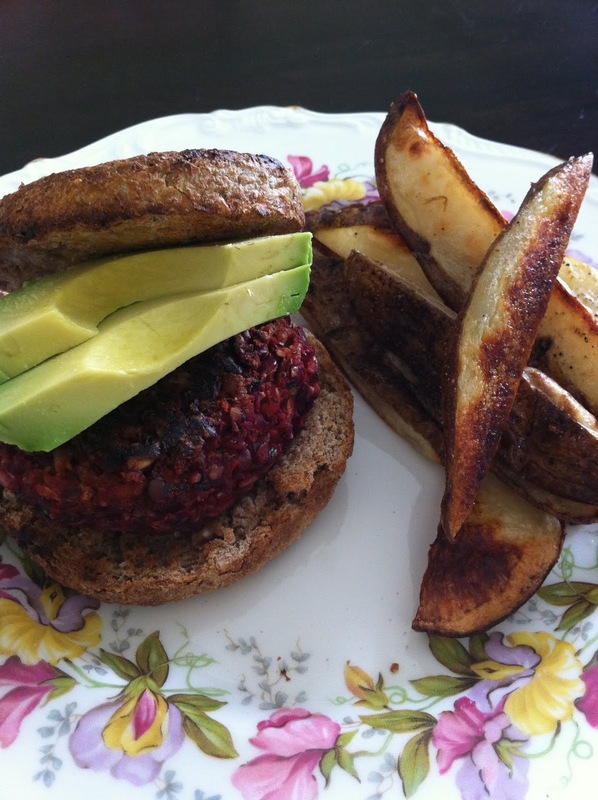 A beet burger sounds delicious. I think I'll have to give this a try. YUM!